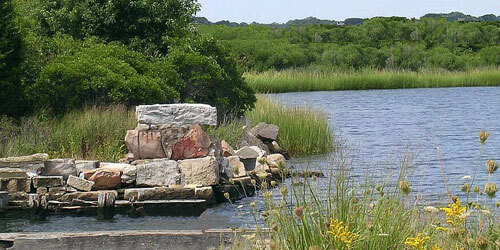 Bluff Point Coastal Reserve is a wooded peninsula extending into Long Island Sound. The property offers both hiking in the woods and along a spectacular rocky coastline. Good for seaside views and watching seabirds. Plants at the headland are native beach plum, beach pea, and shore roses. This is protected property; access is only on foot. A permit is required for shell fishing. Permits are issued by the Town of Groton, at Route 1 and Depot Road. Phone: 860-441-6600. Park map. 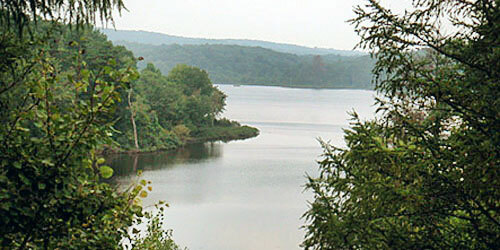 Mansfield Hollow Lake is a 500-acre lake for boating and fishing. People also enjoy the water views from trails in the park. Swimming is not allowed because this lake is a source of drinking water. There is a boat launch ramp, picnic tables, and pit toilets. No parking fees. Bigelow Hollow State Park and the adjoining Nipmuck State Forest offer beautiful areas for hiking, picnicking, and enjoying nature in a forested area. The property encompasses Mashapaug Lake and Bigelow, Breakneck, and Griggs ponds. Boating and pond fishing are allowed. There are boat launches at Bigelow Pond and Mashapaug Lake. 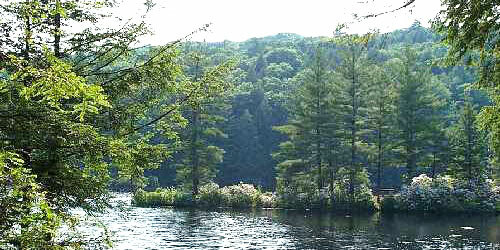 The Beaver Pond Campground is \near Griggs Pond, off Eastford Road (Route 198). Marked trails from Bigelow Hollow to the Breakneck area do not include a loop, so hikers should prepare to walk the full six miles. However, trails west of the park road both form loops. In winter, the trails are usable for cross country skiing and snowmobiling. Parking on weekends and holidays is $14 for Connecticut vehicles and $20 for other vehicles. This park is on the edge of Long Island Sound, occupying the property of the former Harkness family estate. 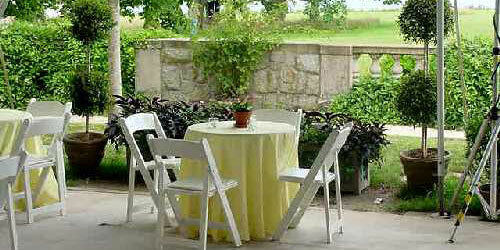 The 230 acres include vast lawns, trees and wonderful gardens. Also, the family’s summer mansion known as Eolia. It is a Roman Renaissance Classical Revival-style mansion with 40 rooms, a pergola, and a carriage house (support complex). Lush gardens, including an Alpine rock garden, surround the mansion, which is open for tours from Memorial to Labor Day. 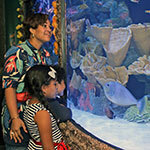 Property is open year-round, daily, from 8 a.m. to sunset. Parking fees are charged. The Verkades gate is for pedestrian access only. Hopeville Pond is open to fishing and swimming. The pond has a boat launch. Picnic tables and bathrooms are available. Hopeville Pond Campground has 80 camping sites in the woods. The season is April to September 30. The recreational field area is open all year. Pets are allowed on leash in picnic areas and on hiking trails; not in campground or on the beach. There is a weekend/holiday parking fee and a campsite fee. This state forest has an extensive trail system and lots of opportunity to see nature and animal life. Open for walking and hiking, bicycling, and horseback riding and boating on Pine Acres Lake. Trails begin at the Goodwin Conservation Center, off of Route 6 at 23 Potter Road in Hampton. The property includes a boat ramp on Pine Acres Lake. Property is open year-round, daily, dawn until dusk. Popular state park with facilities for camping, swimming, and boating. Two campgrounds are open, offering a total of 73 campsites. Camping season is April to mid-October. Hiking trails and fishing areas are also available. Famous features of this park are the Wolf Den, and two natural rock formations: Table Rock and Indian Chair. An old grist mill remains of a little patch of mill buildings and shops that were mostly washed away in the 1938 flood. Parking fee is $9 weekdays and $15 weekends. This park includes 60 acres of wooded land and waterfront along Roseland Lake and Roseland Cottage, a historic home operated by Historic New England. Open daily, early morning to sunset. Roseland Cottage is open for tours Wednesday to Sunday, June 1 to October 15. Nice urban park for walking, swimming, field sports. Park is famous for its grand rose garden. 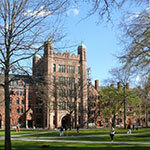 Norwich is known as the Rose City and the formal rose garden in this park commemorates this. The park has walking trails, pavilions and a swimming beach. Tennis players will enjoy free time on available on clay courts, which are lighted in the evenings. Open air ball field adjacent and horseshoe pit. Park is open daily, 9 a.m.-sunset. 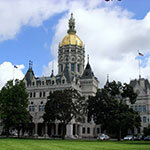 Pachaug State Forest is composed of two sections, the Chapman Area and the Green Falls Area. Activities in the Chapman area include boating, hunting, camping, camping, mountain biking, cross-country skiing, picnicking, freshwater fishing, hiking, snowmobiling, horseback riding, horse camping, and letterboxing. Mount Misery Campground offers 22 campsites. Water, fireplaces and pit toilets are provided. Frog Hollow Horse Camp Area offers 18 campsites. The Green Falls area offers boating, camping, freshwater fishing, hunting, mountain biking, and hiking. The Green Falls Campground has 18 wooded campsites; no reservations. Green Falls, Narragansett, Nehantic, and Pachaug trail sections pass through this area. Bounded by a tidal river and a salt marsh, this popular summer park has a sandy beach for salt water swimming; walking trails to the marsh and to Baker's Cave, Tony's Nose and Shipyard; an elegant stone pavilion right on the water; and 160 wooded or open-air campsites. People can enjoy watching for wildlife and sea birds from platforms in the salt marsh. There is salt water fishing and crabbing. Visitors also enjoy plenty of places to have a picnic, and the park runs nature interpretive programs. Open year-round, daily from 8 am to sunset. Weekend/holiday and weekday parking fees apply from April to late September. There is also a camping fee at Rocky Neck State Park. This tract of parkland is very close to the University of Connecticut at Storrs, offering an easy getaway for workers, students, and visitors to the university. It contains hardwood forest, wetlands, stone walls, and a nice hike along Cedar Swamp Brook to the waterfall at Shelter Falls. Nice place to stop for lunch and enjoy the peaceful woods.